Carmelia Haven is a stylish, eco friendly resort set amidst a tea and cardamom plantation where guests will be in communion with many of nature's many splendored charms. Situated close to the village of Vandanmedu, a half hour drive from Thekkady along the Thekkady - Munnar road, the area is the world's largest producer of premium quality cardamom. A mountain road travels through a series of stunningly beautiful landscapes, climbing gradually at first and then winding into tighter turns, moving forward, moving higher. Turn into Carmelia Haven, onto a drive way, past the building housing the reception, a handicrafts store, the leisure area and a couple of suites. A gazebo sits on a manicured lawn in front with wrought iron furniture that guests can lounge in. Further on along the path is the resort's multi cuisine restaurant with a verandah and banquets area both built with a stone façade and a thatch roof. Stone paved pathways branch out along a ridge towards two ends of the property. 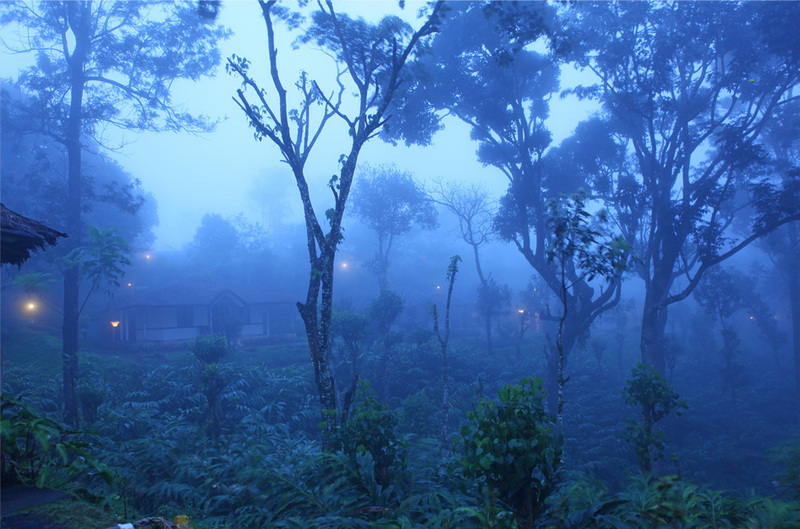 Fringed on either edge by lush cardamom bushes, vines of pepper and clearings with fruit trees, guests are transported on electric carts to cottages set along the hill's slope. 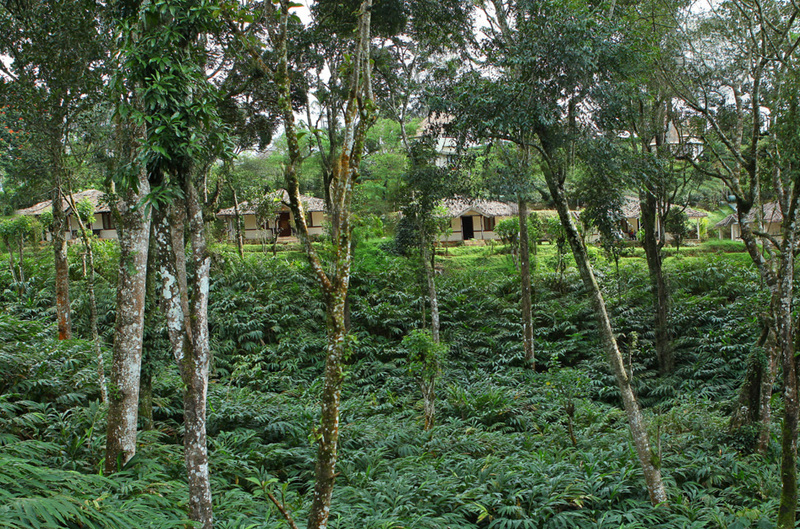 The deluxe cottages lie along one arm of the spur, the path ending below the tree houses. The trail extending in the opposite direction leads to the honeymoon cottages and the Jacuzzi villas. At the bottom of the valley is the resorts spacious swimming pool with loungers shaded by umbrellas. Birds sing their welcome, shy squirrels scamper into the underbrush. Lay back: accompanied by the seductive scents of clove, cinnamon, ginger and nutmeg, succumb to the tender ministrations of branches bearing oranges, mangostene, jackfruit, rambuttan, butterfruit, papaya and rose apple.